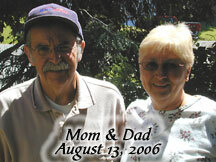 "Had a Dad" Alzheimer's Blog: Help raise money for Alzheimer's Disease! Accera, Inc.'s new campaign, "Lost & Found," is an on-line initiative whereby each visit to www.lostandfoundcampaign.com prompts a $1 donation by Accera to support the Alzheimer's Foundation of American (AFA). By simply selecting an icon representing something they have lost or forgotten that day, at no cost to individuals, the selection will trigger an Accera donation to AFA. The funds generated throughout this initiative will be donated to AFA on November 17, "National Memory Screening Day," to further AFA's efforts to support individuals with Alzheimer's disease their families. "Lost & Found" submissions will be accepted on-line through November 13, 2009. I am going to visit lost and found thanks for the info.